In September of 2013 I published a blog titled, Annapolis Sailboat Show, A Growing Family Affair. It started like this: "As my children have gotten older, they have come to realize that October is a fun and exciting time of the year. Not because of Halloween which is what all kids look forward to in October but because of the Annapolis Sailboat Show. For those of us who make their living in the boating business, the Annapolis Sailboat Show is a big deal. Not only is it the largest all-sail show in North America but it’s also the only show where all the new models from the various manufacturers are introduced for the first time." Fast forward to October 2016 and for the most part, not a lot has changed over the past 4 years. Well, that's not entirely true. The Jeanneau team is bigger now since Jeanneau has gown significantly since 2012. I am no longer President having passed that honor onto my friend Nick Harvey a couple of years ago. But for the most part, the important elements of what makes the Annapolis show truly great remain the same. Annapolis is still the largest all-sail show in North America, attracting sailors from all 50 states and every province in Canada. It's still the only show where you're guaranteed to find all the manufactures with all their new models for the coming year on display in one place. And for me, it's still very much a growing family affair. And not just my immediate family, but the larger family of Jeanneau owners as well. This year the show kicked off under brilliant blue skies on October 6th. We displayed an impressive lineup of 10 boats from 34-58 feet. 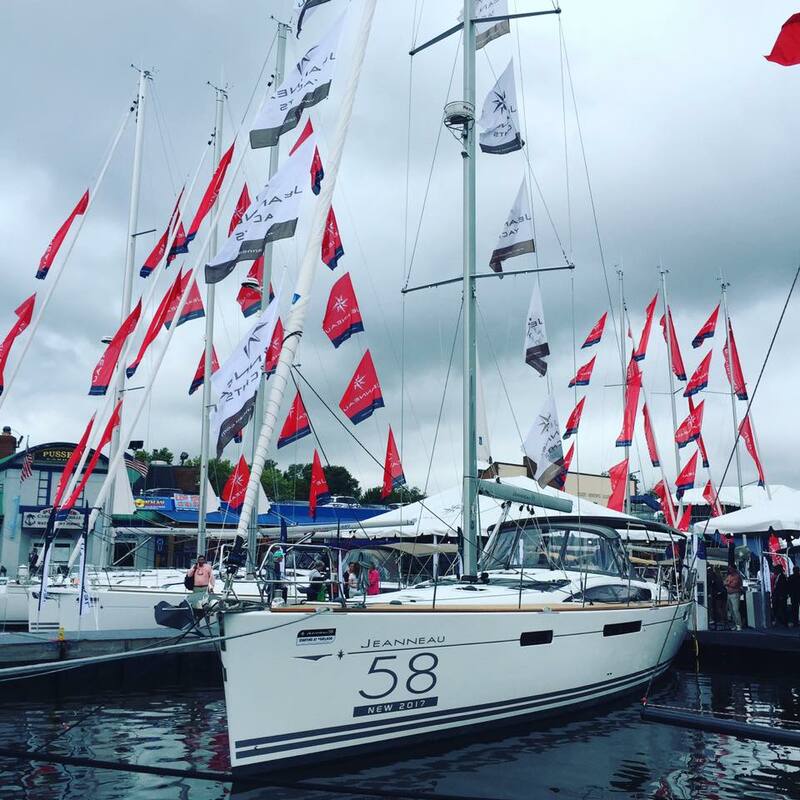 More than 50,000 people attended the show and more than 200 Jeanneau owners attended the annual Jeanneau party making this year's Annapolis Sailboat Show one of our best ever. "Not everyone has the luxury of enjoying what they do to make a living but thankfully I do and as an added bonus, I get to bring my family and friends along for the ride." Since these words still ring true for me and still seem a fitting conclusion to my tale here, I am going to be rather unimaginative and end the same way. With the exception of adding, I look forward to seeing you at next year's Annapolis show. Let the fun continue!